The index opened weak below 8700 but went on to make initial high of 8726 but the sellers took control from thereon to push the index below 8650 but closed just above at 8661.05, loss of 50.65 points. The broader market was very weak, with 347 advances to 1158 declines. Developing Range as per Option Table comes to 8300-9000. Call option 8600-9200 added 20.75 lacs OI with profit booking seen at 9300 and above strike prices. 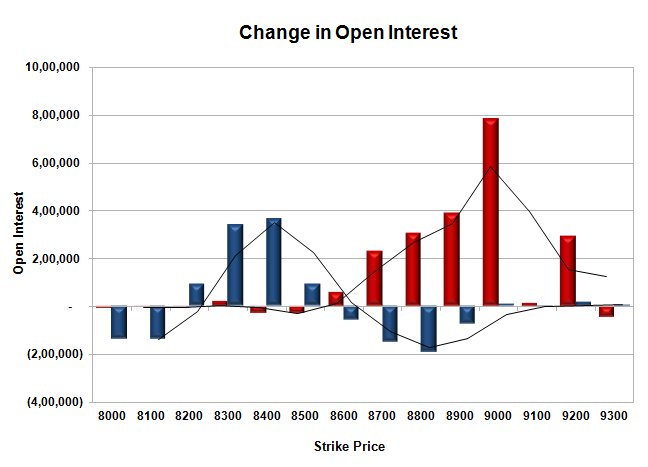 Put option 8500-8200 added huge 8.86 lacs OI with short covering seen at 8700 and above strike prices. 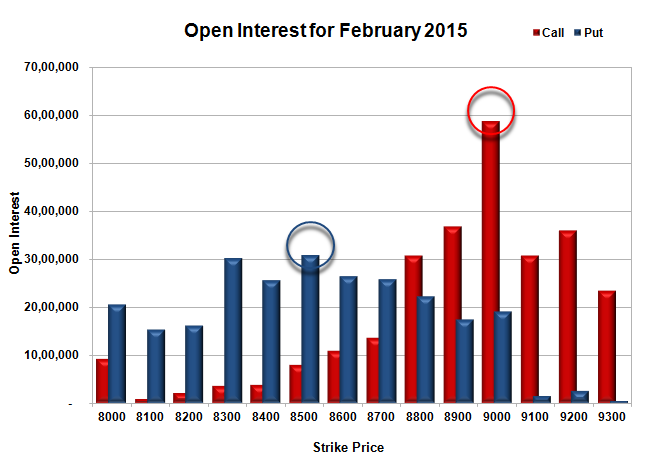 Nifty Open Interest is at 2,49,63,150 up by 1,29,475, with decrease in price, most probably short build-up. Bank Nifty Open Interest is at 21,06,325 down by 1,76,250, with decrease in price, most probably huge long liquidation. FII’s sold 7.40 lacs Futures, which includes 25973 contracts long liquidation and 3630 contracts short build-up, with decrease in net OI by 29603 contracts (includes 33684 longs to 63287 shorts for the day) and the Average Price comes to 8673.70. FII’s Index future open contract as on date is 764573 Longs to 92929 Shorts, net long 671644 down by 29603 contracts. Initial support now at 8600, with OI of 26.42 lacs and below that at 8500 with OI of 30.69 lacs. Initial resistance at 8800, with OI of 30.80 lacs and above that at 8900 with OI of 36.76 lacs. 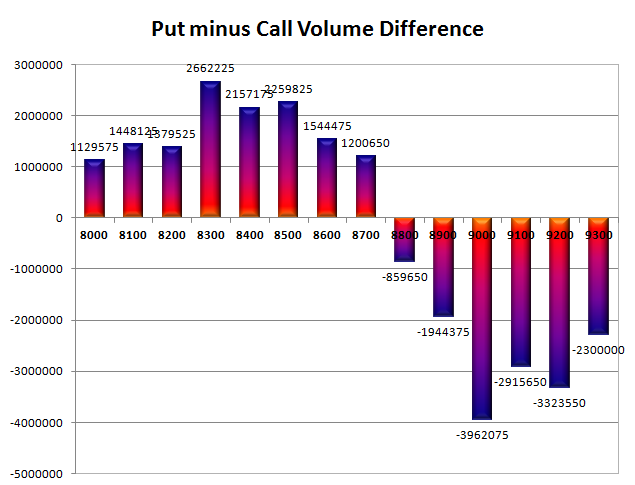 Day Range as per Option Table is 8593 - 8755 and as per VIX is 8567 - 8755 with 8678 as the Pivot.